Captain Salazar begins his bloodthirsty quest for revenge in a new onslaught of high-res stills for Pirates Of The Caribbean: Dead Men Tell No Tales, which have sailed onto the interwebs by way of Collider. Brought to life with manic glee by the great Javier Bardem (No Country for Old Men, Skyfall), by the time Disney’s sequel opens in May, Salazar will have clawed his way out of the Devil’s Triangle with an army of ghost pirates in tow. His target? Captain Jack Sparrow, whom he blames for dooming his men to a miserable life spent roaming the high seas in search of salvation. 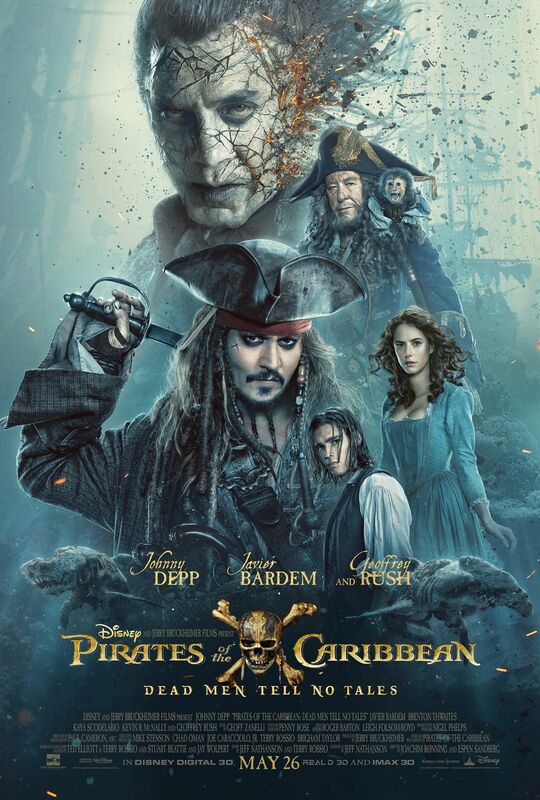 Evoking memories of Captain Jack’s original rivalry with Captain Hector Barbossa (Geoffrey Rush), there’s no question that Dead Men Tell No Tales is tinged with nostalgia. And really, that’s okay. After Rob Marshall quite literally steered Disney’s tentpole on to Stranger Tides in 2011, a sequel/soft reboot that essentially bumped Johnny Depp’s swashbuckling pirate up from supporting player to bona fide lead, the fifth Pirates film is evidently hoping to recapture what made Gore Verbinski’s trilogy so great in the first place. Franchise newcomers Joachim Rønning and Espen Sandberg are at the helm, and we won’t be too surprised if Sparrow is used relatively sparingly in order to fuel the dramatic tension between him and Salazar. Rounding out the cast list for this one are Kaya Scodelario, Brenton Thwaites, Kevin R. McNally as Joshamee Gibbs, Golshifteh Farahani as the sea-witch Shansa, David Wenham as Scarfield and Stephen Graham as Scrum. Pirates of the Caribbean: Dead Men Tell No Tales pulls into theaters on May 26th. Johnny Depp returns to the big screen as the iconic, swashbuckling anti-hero Jack Sparrow in the all-new “Pirates of the Caribbean: Dead Men Tell No Tales.” The rip-roaring adventure finds down-on-his-luck Captain Jack feeling the winds of ill-fortune blowing strongly his way when deadly ghost sailors, led by the terrifying Captain Salazar (Javier Bardem), escape from the Devil’s Triangle bent on killing every pirate at sea—notably Jack. Jack’s only hope of survival lies in the legendary Trident of Poseidon, but to find it he must forge an uneasy alliance with Carina Smyth (Kaya Scodelario), a brilliant and beautiful astronomer, and Henry (Brenton Thwaites), a headstrong young sailor in the Royal Navy. At the helm of the Dying Gull, his pitifully small and shabby ship, Captain Jack seeks not only to reverse his recent spate of ill fortune, but to save his very life from the most formidable and malicious foe he has ever faced.